Wash each potato and place on a baking sheet. 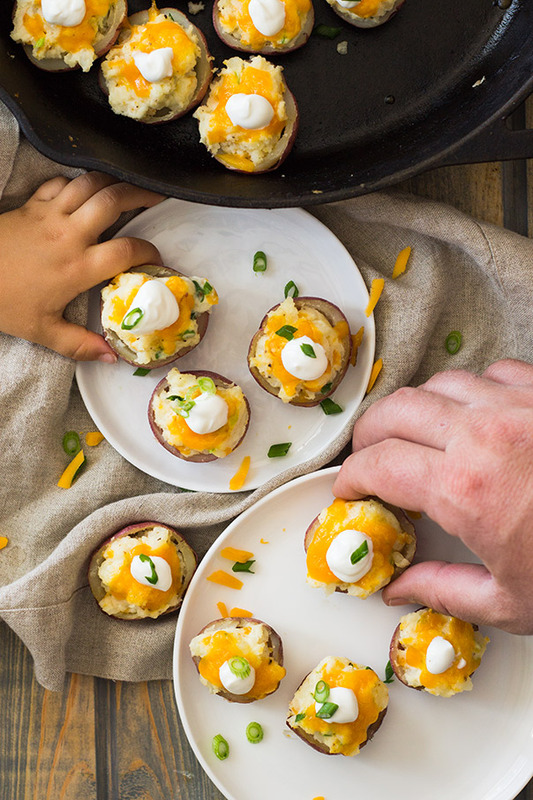 Pierce each potato and bake in a 350 degree oven until they are easily pierced with a fork. Cool slightly so they are easier to handle. 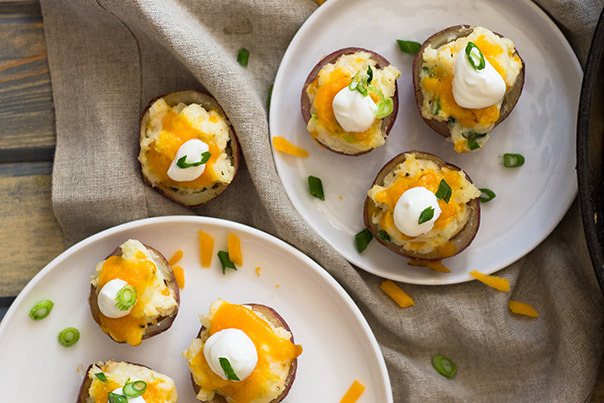 Cut each potato in ½ and carefully scoop out the pulp with a spoon leaving a little for a shell and set potato skins aside. Combine the pulp with the bacon, sour cream, cheddar, green onions, salt and pepper. Scoop mixture into each potato shell and place back onto the baking sheet. 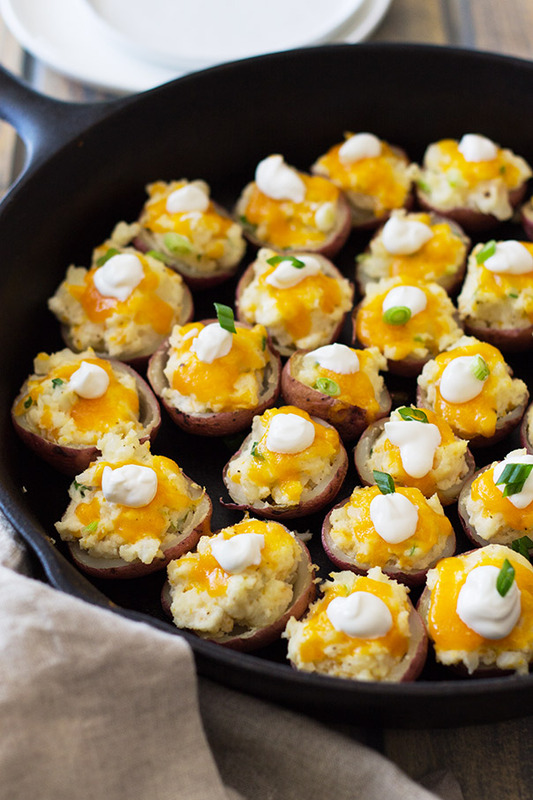 Top each with additional cheese, if desired and broil on high for 5 minutes or until cheese is melted and potato bites are heated through. Top with desired toppings and serve immediately.